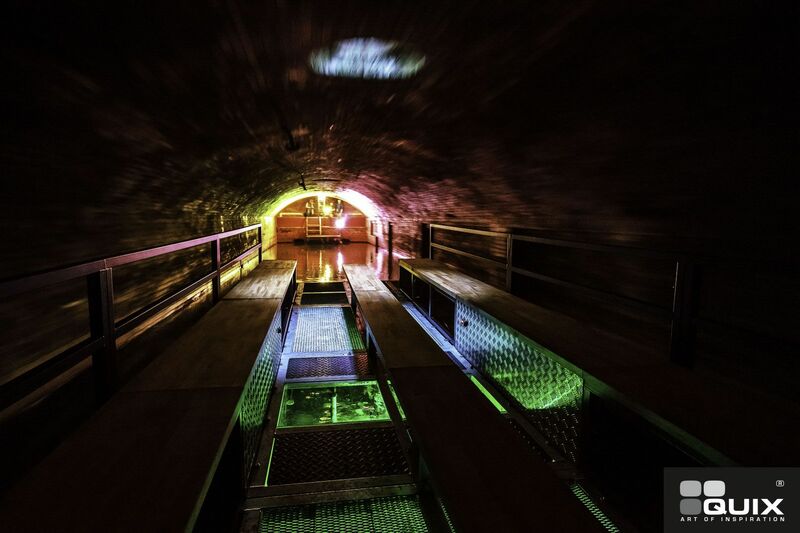 A great historic, cultural, architectural, engineering underground incentive idea for your Prague congress trip. 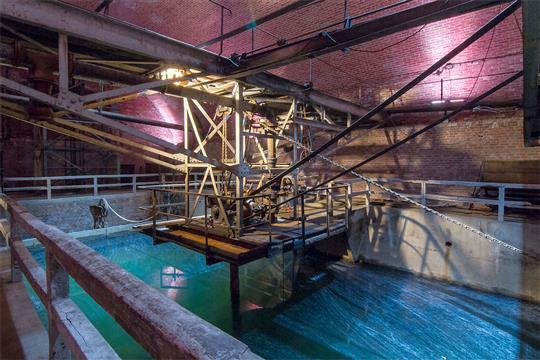 A special pram is newly installed at one of the tanks at the Old Sewage treatment plant’s underground. It is a vessel with a weight more than 1,5 t. Instead of a floor, a Perspex is installed to be able to see underwater. The pram tour is a real experience and great not only for families but also for incentive groups. 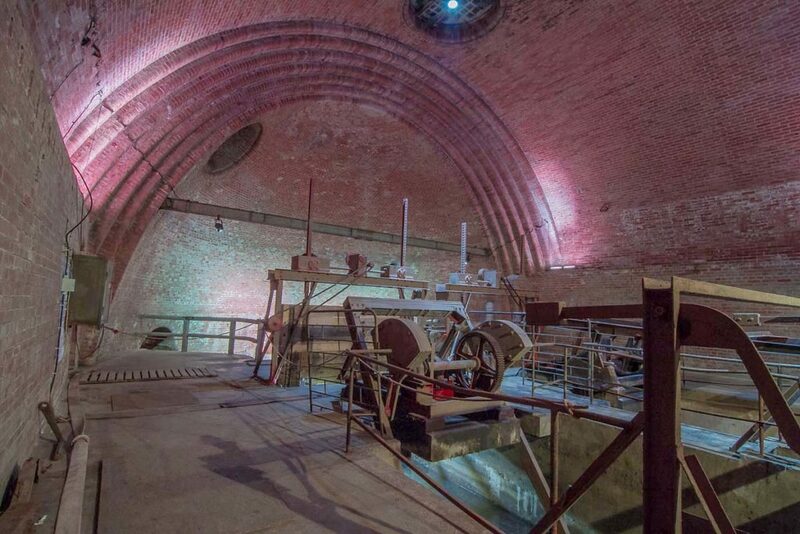 The pram can be rented also during an event at the Old Sewage treatment plant and take part in the popular underground tours. 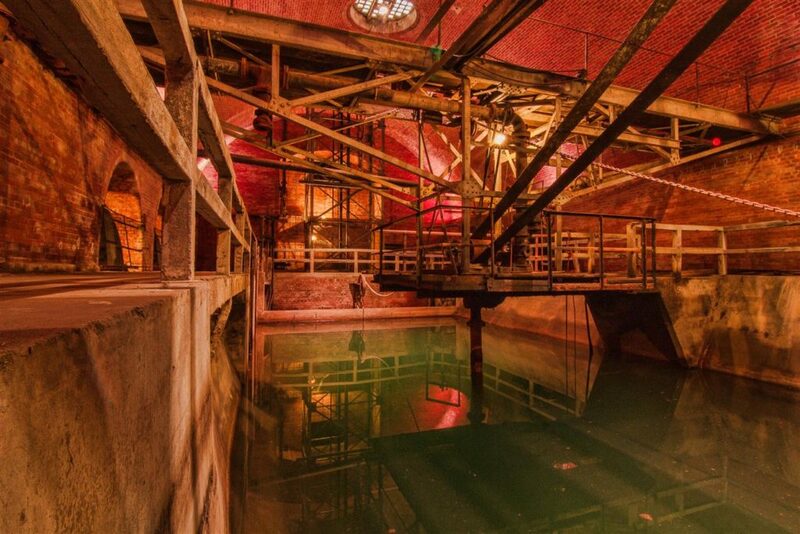 The old sewage treatment plant in Prague – Bubenec is an important site for documenting the history of architecture, engineering and water management. It was built between 1901 and 1906 as the final part of the Prague sewer system. Most of Prague´s wastewater was treated here until 1967, when, not far away on Císařský Island, the Central wastewater treatment plant was commissioned. The British civil engineer William Heerlein Lindley was responsible for creating the sewer system and the technical parameters of the treatment plant. will walk through an inactive, original sewer main. history of industrial buildings and especially the Prague sewer system. Recommended: good shoes and warm clothes even in the summer months.